What pushed Melissa to the finish line? “I go into every appointment and every door as if it is the most amazing incredible place I’ve been in all day. I know that we talk a lot about affirmations and the law of attraction, but to be completely honest those are the things that I attribute to my success. 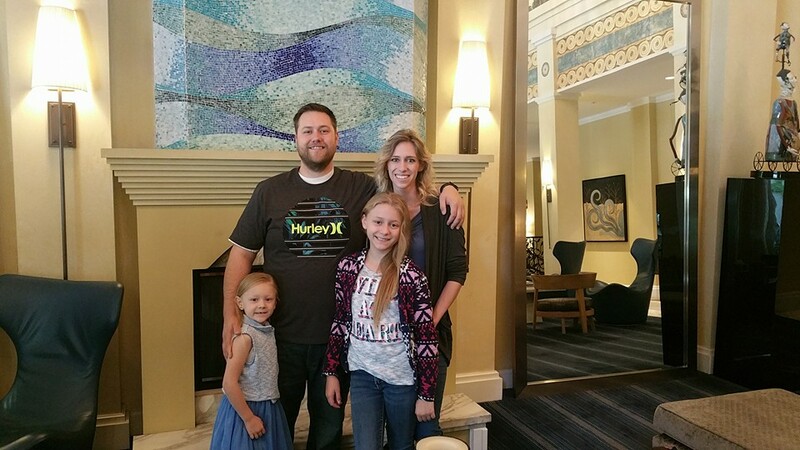 I tell people that you just have to go in there exuding as much positivity as possible and smiling like a complete idiot and with the knowledge that you simply walking through their door is giving them the opportunity to make their business life better.” Melissa’s family has experience as small business owners. She knows first hand how important every penny is and asks her customers to put faith in knowing she is there to personally take care of them. We would like to give a huge shout out to Melissa for her dedication, amazing strength, determination, and winning March Madness. We would also like to give a huge shout out to all of our fantastically fierce Account Executives that blew records out of the water this month and helped take us to our next level. We love being a part of your successes and we’re here to push you to your next dreams in any way we can. It was a stellar month, and you all deserve a round of applause. Our hats are off to you! On episode 14 of The No BS Show, National Sales Manager, Amie Sanders, joins Brandon in sharing her story. Amie has been in sales most of her professional life; marketing, cell phone sales, etc. She knew she wanted to make a lot of money and wanted more from her career. It so happened that Amie had a friend who worked part-time for Riverside. She saw the opportunity and hit it hard! 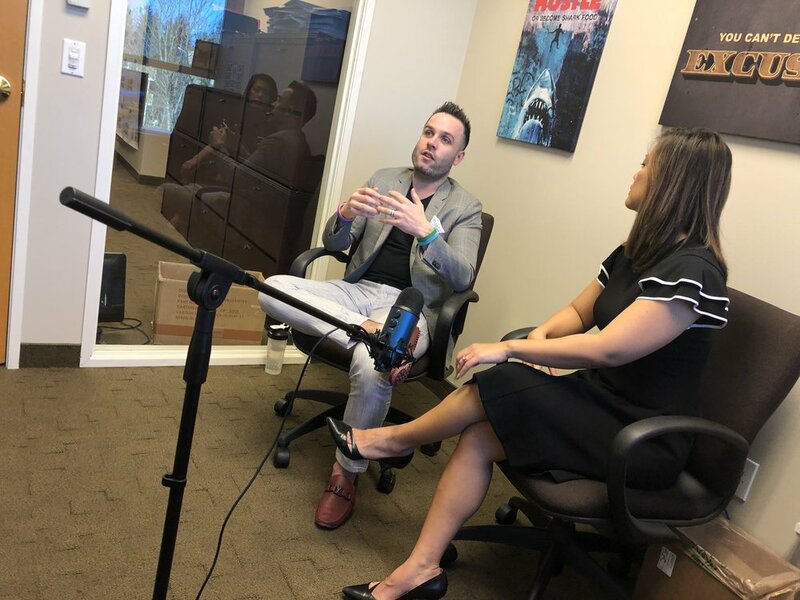 Amie took severals skills away from her job history, including closing deals, working past the “No”, and overcoming adversity thru focusing on her Whys. Amie has always been stubborn and has a take charge attitude. She started as a young mom who wanted to provide a good life for her kids and didn’t want them stressing about the roof over their head. She didn’t have a lot of money growing up, which has helped drive her. Being successful for her children has been key in her determination to succeed. Brandon can completely relate, as one of his biggest Whys is ensuring he can provide for his family. Amie remembers staying in a hotel every day with her kids. Trying to find a place to live was very difficult and not making enough money to keep the roof over their heads was a turning point for her. She has had an amazing support team behind her who has helped pick her up when she fell down. Brandon shares that he couch-surfed with his good friend Mikey for a whole summer during his struggles. He took away several strength-building traits like leaning on friends and family during the hard times, don’t seclude yourself and not to be afraid to ask for help. He also states that Paying It Forward is a concept everyone should consider. Brandon has always been big on learning and improving yourself: there will always be someone better than you so never stop learning from those around you and focus on what you can do to improve. Brandon and Amie leave you with this tip: Start the sprint! Live with no regrets!! 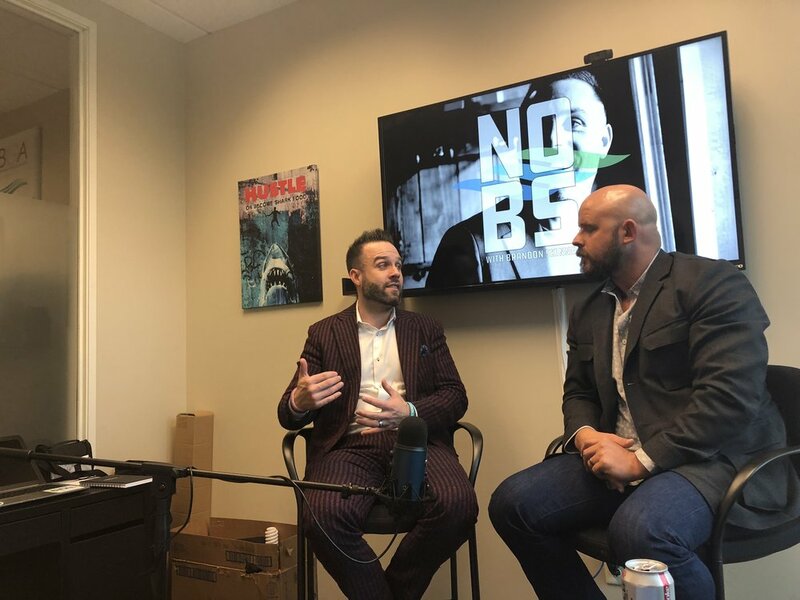 On this episode of The No BS Show, Jason Reese, CFO of Riverside Payments, joins Brandon in discussing SMART Goal Planning. Jason is a big New Year Resolution kind of guy - New Year, New Opportunities. Start by having a basic goal, focus on how to hit that goal, stay accountable, and think of things like how many people will you need to accomplish that goal. The guys agree, using the SMART Goal Planning System is the most efficient way to be successful in business and personal goal setting. Brandon reiterates that you have to focus, take action and follow through with what your goal is and what it takes to get there. Jason states to display your goal somewhere you will see it every day, such as your bathroom mirror. Back your goals up with your Whys. Put your goals out there and involve others! Brandon exclaims, " You can start your goal planning ANY TIME! Start NOW!" Take action, have fun with it and you'll be amazed at the results! Taylor is from the historic and beautiful Atlantic coast, specifically Boston, Massachusetts. While he was attending college in Massachusetts, Taylor met his current girlfriend, Torie, who was attending Mass General to become a nurse. Torie’s brother-in-law, Adam, just so happened to be one of the great National Sales Managers with Riverside. The couple made the decision to trek across the country and start a life together in mountainous, St Helen’s, Oregon. 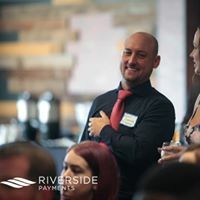 Garland started his career with Riverside Payments as an Account Executive. He worked the next 3-4 months out of St Helen’s, then moved to NE Portland. When asked what has propelled his career, Garland notes the influential and strong women who are in his life. Growing up with his important women figures being nurses, he also grew up with an instilled mentality that if you help others, it will come back around. Garland was taught at a young age that when you focus on everyone else, they will take care of you. This is what Garland loves most: that his career is to save money for families and help mom and pop areas. 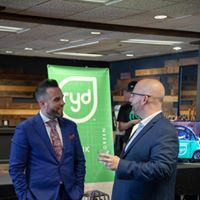 In his career, he has been blessed to have met and connected with great friends in this area. One of his current clients, Willow Salon PDX, happens to have blossomed into a strong friendship between Taylor, Brice and their families. Taylor’s hair game has never looked better thanks to Brice. When asked what has helped him succeed, Taylor lets out an immediate, ‘Work ethic’. He states, “you have to be willing to learn and work long hours.” Taylor is no stranger to staying out until it’s dark or until the the job gets done. Self reflection also happens to be one of Taylor’s strong suits. Each night Taylor ends his evening by taking 20-30 minutes to self reflect. He evaluates the things that went well and what he can improve on, and how he can improve for the next time. He also utilizes people well. Taylor has had a lot of advice from his Riverside team, especially noting April, Adam, and Mikey. They have all been key factors in providing helpful guidance and insight. Taylor garland with his girlfriend, torie, and their puppy, harvie. Congratulations again to Taylor Garland. We love having you a part of the Riverside Team! 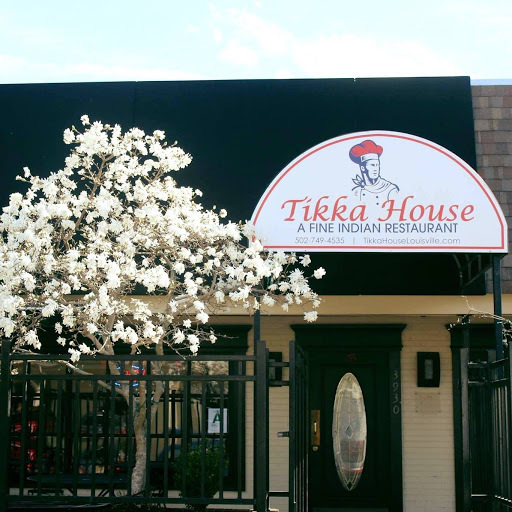 Take a few moments while we take a journey over to Cresskill, NJ to Delvina Restaurant. 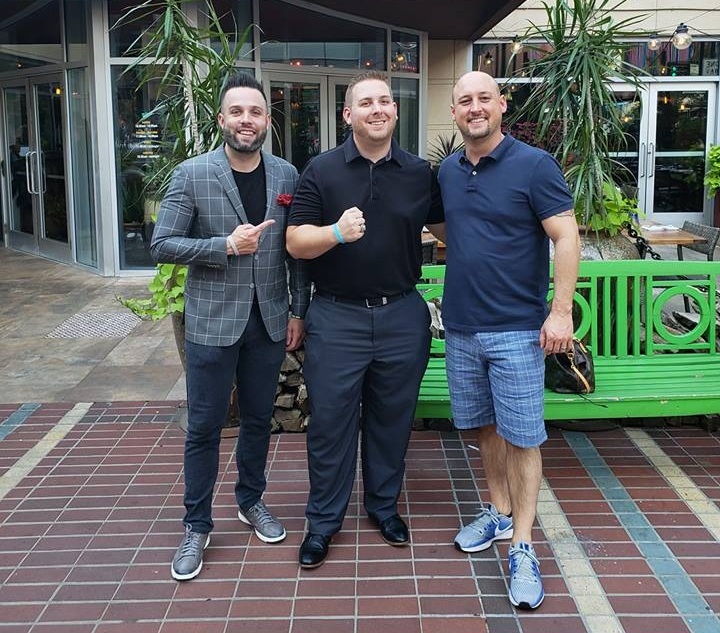 Enver Rraci, the chef and owner along with his two older brothers and partners, Rossi and Imer, are known and raved about for their authentic Northern Italian cuisine and impeccable service. We can’t create the worldly cuisines or beverages we bare witness to from you; mouth-watering and delectable dishes that challenge even the strongest of health addicts. What we CAN do is provide you with tools to make the not-so-fun aspects of running a business, easy. WE MADE THE LIST! Check out our blog to see what’s happening! Follow the Clover Craze here! Check out our blog and see where Clover is headed! October is Breast Cancer Awareness Month! Check out our blog to see what we’ve been up to and how we show our support! 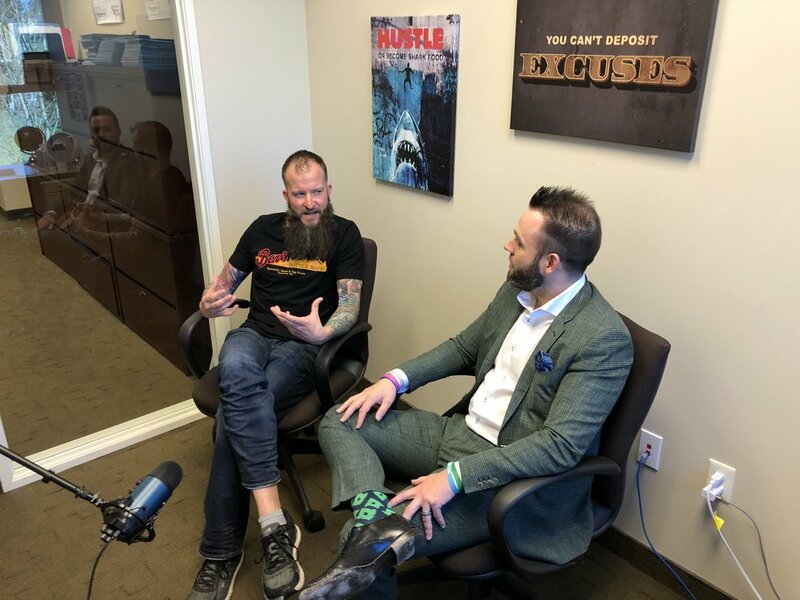 In Episode 11 of the No BS Show, Brandon Skinner is joined by guest Brian Shields, of Evergreen Home Loans, as they get serious about self-awareness and taking success to the next level. Growing up, Brian says he and his mother struggled financially. Insecurities and finding yourself played a major role in his upbringing. He struggled with his own identity and how others viewed him. Skinner, himself was shy and also had insecurities growing up. Both men had a lot of positive influences who helped pick them up. They were able to take those positive qualities from those around them and piece it together to create their own worth. One of the biggest mentors to Brian was an MMA coach. One lesson his coach taught him was “never be satisfied, and always self improve.” There are setbacks you will be faced with that you have to be able to dust off. As Brian joked, “you have to knuckle up and protect your grill.” Skinner practiced his own self awareness when he journeyed into being a young entrepreneur. Brandon began going door to door as a salesman. At night he would take a look at what he struggled with and give himself positive reimbursements and praise; with the notion that you have to be the one to push yourself to the next level since nobody will do it for you. Being comfortable with who you are is one of the biggest factors in becoming self aware. Skinner suggests following social media and experts in your sought after field is the best way to become an expert of your own. One of the biggest reasons behind Riverside’s success is the relationship between Skinner and his good friend, Jason Reese, who is CFO. Both men have their strengths and make up for the other’s ones weakness. Skinner notes being able to trust your business partner has also aided in his self awareness. Through trudging through the trenches of their lives, both men have had the tenacity to push forward, keep accepting lessons that have been thrown at them; thus far bettering who they have become and their own self appreciation and understanding. Brian and Brandon leave us with this note, ‘do not forget where you came from’ and appreciate those moments that led you to your success. Live life with gratitude and persistence and you will reap the benefits. Running a business means staying on top of the latest technologies and tools. If you’re still limited to accepting cash at your place of business, it may be time to consider offering customers with online payment methods. Read on to know why. Online payments are fast and easy. With a simple click of the mouse, customers can pay for a product or service in an instant. That’s ideal. If potential customers check out your pages and like what they see, offering online payment methods makes it easy for them to buy that item right then and there. Customers won’t have to go to the bank just to pay fees, BizFluent says. They won’t have to go to your shop. They can order what they need from your online store and have the payment sent through e-payments, fast and easy. That’s ideal. If they need to get to your shop or to the bank to process the payment, then that could make them think twice about the transaction. If they’re not in the mood to do so, then you’ll lose a potential customer that way. One of the best advantages to offering online payment methods on your site is that it allows customers from all over the globe to pay for your products and services. If you want to expand your consumer market, advertise to the world and watch your market share grow. By accepting online payments, you encourage more customers to your door. The inevitable growth in your consumer base will lead to more sales. Providing online payment options means you’re making it easy for many of these customers to pay for your products and services. That’s going to lead to higher conversion rates and sales. The growth in mobile consumption continues. With our dependence on phones, online payments now make it easy for you to expand your consumer base and get a lot of business to your door. If you have yet to offer online payments, then you’re severely limiting your customers and that could be one reason that’s driving them away. By offering more payment options, you open the door to more of your customers as well. Riverside Payments provides you with a range of payment processing services. Whether you need credit card processing, gift cards, mobile payments or online payments, then contact us. We can help you streamline your payment options. Ask us today.